The break-up of the USSR in the early 1990s saw considerable activity by western mining companies in existing mining operations in the former soviet republics. The Zeravshan gold mine in Tajikistan was one such operation. Commonwealth and British Minerals and, subsequently, Nelson Gold, undertook the re-development and expansion of this mine in the mid 1990s. Lord Consulting Engineers were first engaged as specialist consulting electrical engineers to assess the existing electrical infrastructure serving the mine, both externally and internally. Our involvement in this project was extended to designing, specifying and procuring the additional electrical plant, materials and process control installations necessary to support the expanded operation while retaining a major part of the existing process plant. 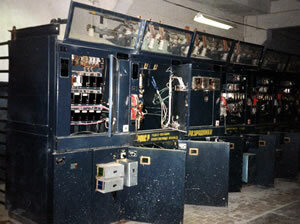 This required a considerable amount of detailed design and engineering work to match the electrical parameters of the existing, soviet style plant to western type equipment. An added challenge was the accelerated time frame within which these works had to be completed including design, specification, procurement and delivery. On-site installations were completed by mine staff and overseen by the client's on-site staff.